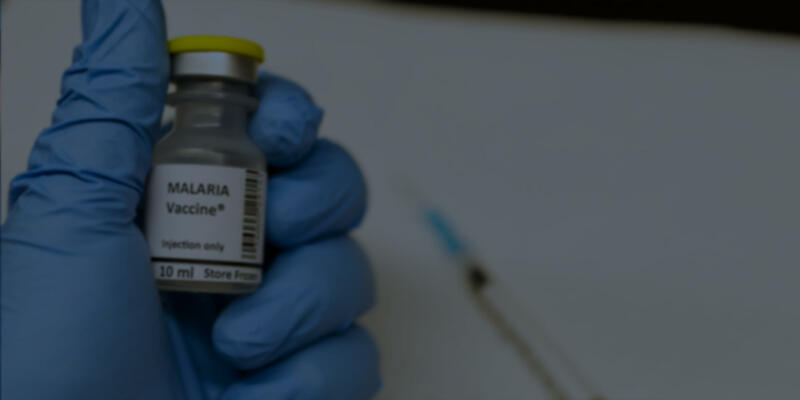 Malaria Vaccine: The Holy Grail of Malaria Eradication? The Holy Grail of Malaria Eradication? Malaria is a devastating disease that causes over 200 million human infections per year, resulting in almost half a million deaths per year. Malaria has successfully been controlled in the developed countries of the world, but remains a significant cause of morbidity and mortality in the developing world. The parasites that cause malaria are Plasmodium species and have evolved a complex life cycle that needs both a mosquito vector and an animal host to reproduce. Improved diagnostics and vector control have led to a decrease in the transmission of the disease but they alone cannot eradicate the disease. Effective treatment for malaria exists, but drug resistance in the parasite is a continual battle. Many public health officials believe the only way to eradicate the disease is to have an effective vaccine. Many vaccine candidates have been proposed and have entered clinical trials. The complex biology of the parasite, the stark differences between Plasmodium species that cause human disease, and the ability of the parasite to cause reinfections contribute to the difficult task in developing a vaccine. To date, only one vaccine candidate, RTS,S, has gone through phase 3 clinical trials for efficacy and safety. The efficacy of this vaccine is very low and it has yet to be adapted in the countries in which malaria is endemic. Both private and public sectors continue to search for more effective vaccines. The question remains is the Holy Grail of infectious disease prevention, the vaccine, attainable for malaria? In 2003, Dr. Jennifer Sedillo earned her Bachelor of Science degree from the University of Massachusetts Amherst in Environmental Science with a focus on Environmental Biology. Dr. Sedillo went on to earn her Master of Science degree in Environmental Microbiology from New Mexico State University. After a brief break from her schooling, she returned to school to earn her doctorate in Public Health from the University of South Florida, where her dissertation focused on malaria. Dr. Sedillo has extensive research experience in microbiology and public health. She has interned at the Mote Marine Lab in Sarasota, Florida, where they monitor the Gulf of Mexico for red tide blooms. She also interned at the Border Health and Epidemiology Center in Las Cruces, New Mexico, which studies border health issues between the United States and Mexico. For her master's thesis, she studied activated carbon filters as potential devices for bioforensic studies of intentional microbial releases into the U.S. water supply. Dr. Sedillo has also conducted research under Dr. Eric Hansen at the University of Texas Southwestern Medical Center at Dallas, where she contributed to the research of Moraxella cattarhalis, a bacterium that causes otitis media in children and exasperates COPD in adults. Dr. Sedillo’s most current research has focused on the pathology of the deadly form of malaria caused by Plasmodium falciparum under the Global Health Infectious Disease Research Program at the University of South Florida. During this time, she completed training at the Sanger Wellcome Trust Institute and Institut Pasteur. Dr. Sedillo has had experience in teaching public health, biology, and microbiology courses both in the traditional setting and online. She enjoys having fruitful discussions about public health and biological issues that pertain to public health. She looks forward to meeting students interested in public health research and to developing new courses for the public health program at APUS.